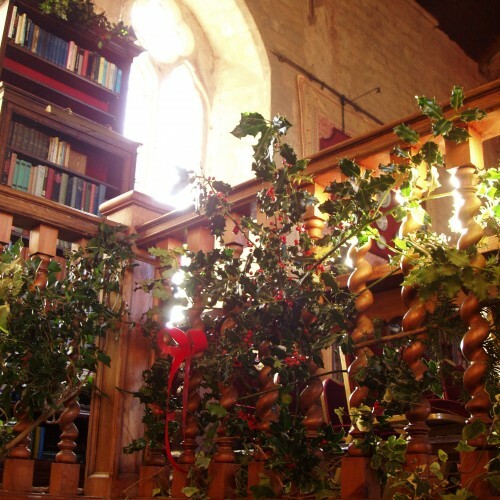 Christmas at Markenfield – traditionally held on the first Monday in December each year – is a Service of Lessons and Carols, that has become known by many as the start of Christmas. The Service is held in aid of (and organised by) a different Charity each year. The Service is held in the Great Hall at Markenfield and presided over by Canon Keith Punshon. The readings are given by Ian Curteis FSA and Dr Richard Shepherd whilst the Choir are from York. Tickets go on sale on the first Monday in November and further details can be found here nearer the time. This year’s Service will be held in aid of Christians caught up in the conflict in the Middle East. 2017 will be in aid of Physionet a local charity set up in 2005 to provide physiotherapy equipment to disabled children in Eastern & Central Europe and in developing countries round the world. All equipment is donated and is refurbished by PhysioNet prior to shipment. PhysioNet is run entirely by volunteers; all donations go directly towards funding shipments of critical physiotherapy equipment to people in need in developing countries.